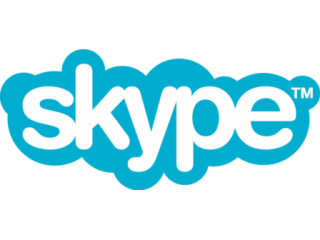 The great Skype outage of 2010 continued long into Thursday with a large proportion of users still struggling to maintain connection to the popular VoIP service. In a situation, which strangely mirrors the UK travel chaos caused by the snow, some Skype users are up and running again while others remain stranded, unable to make free voice and video calls or send instant messages. On the company's official blog Skype's Peter Parks revealed that an estimated 10 million users were now back online, but that features may not work as efficiently as normal. The post read: "In the last hour, we've seen evidence of a significant increase in the number of people online. Because of the way the Skype software works, it's not possible for anyone to obtain an exact figure, but we now estimate it to be over 10 million. "Please note that some features may not work as reliably as expected – peoples' online status may be slow to update, and instant messages might not be delivered as quickly as they are normally. Group video calling will take longer to return to normal." On Wednesday the company had apologised for its first major outage since August 2007, which left many users unable to reach their loved ones at Christmas forcing them to explore other providers. Skype says its engineers are working hard at creating 'mega supernodes' - allowing individual connections between computers and devices - in order to restore service. The company is telling users to keep checking the Skype Twitter feed for the latest information surrounding the mysterious outage.